Around 400 000 people in Sudan could need food aid because of poor rains caused by the El Nino weather phenomenon, a UN official told AFP on Sunday. El Nino saw rains in the 2015-2016 agricultural season drop significantly in parts of Sudan in comparison with the previous season. "We got down to a net number of about 400 000 individuals that will be in need of food assistance" because of the low rainfall in parts of Sudan, said Marco Cavalcante, head of programme for the UN's World Food Programme in Sudan. Last month, the United Nations issued a plan to respond to the effects of El Nino in Sudan, in which it estimated that a total of some 3.5 million Sudanese would be affected by El Nino. 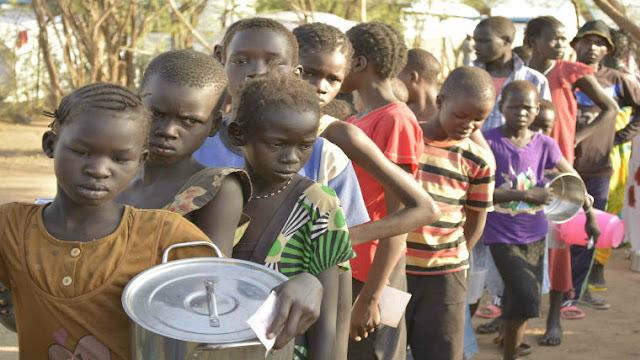 The WFP had already aimed to provide around 3.8 million people in Sudan with some form of food assistance in 2016, in addition to the 400 000 who may need support because of El Nino. The areas worst affected by drought are in eastern Sudan, East Darfur and the centre of the Kordofan region, Cavalcante said. An extra $12.5m will be needed to fund food aid for those affected by El Nino, the WFP said. The agency has already had to use funds from its other programmes to support tens of thousands of civilians displaced by fighting between government forces and rebels in the Marra mountains of the Darfur region since January that it had not planned for. Cavalcante warned the agency needed further funds within weeks to be able to support those affected by El Nino. "I believe we are still in time, but it is a matter of a few weeks before that window of opportunity to respond closes," he said. El Nino is caused by warming in sea surface temperatures in the equatorial Pacific, and it can spark dramatic changes to world weather patterns. This El Nino is expected to end towards the middle of 2016.